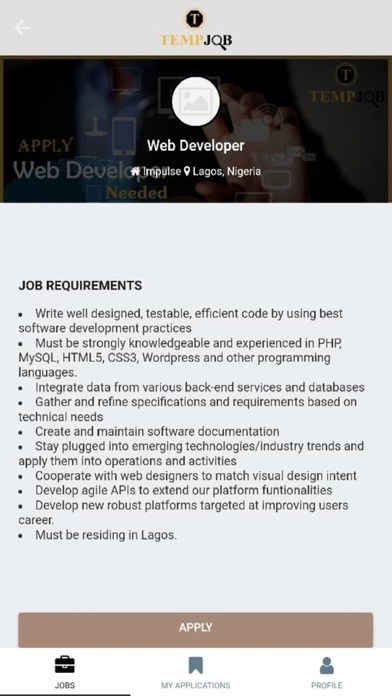 Temp job is a foremost online platform that connects multinational conglomerate, SMEs and other corporate organizations with adequate and fit-in job seekers ranging from skilled and experienced professionals to undergraduates with temporary jobs, internships, SIWES, holiday jobs etc. 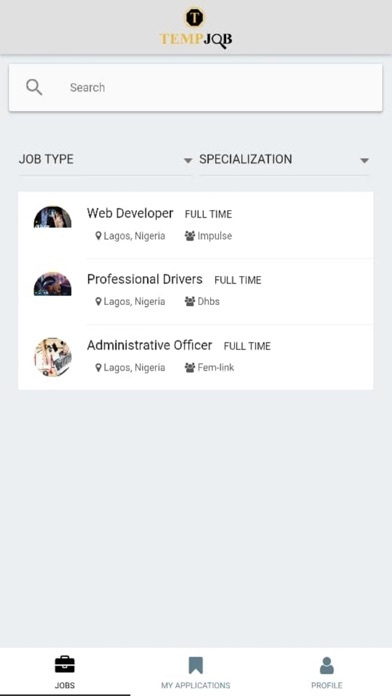 We focus on adding value to organizations through customized solutions that meet our clients’ needs Temp jobs helps employers find the right candidates for its job openings while also giving opportunities to job seekers to showcase their skills and qualifications in order for them to land their dream jobs. Our management team consists of experienced, skillful and talented individuals that have a deep understanding of the industry.